With search engines in mind such as Google and Bing we created the responsive theme Lighthouse. 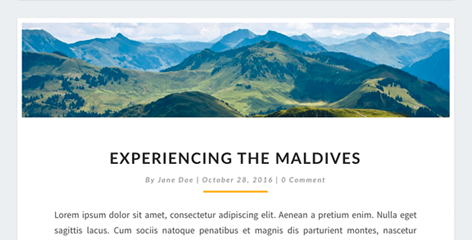 It is a perfect responsive and gorgeous SEO friendly and SEO optimized WordPress blog theme. Lighthouse is coded in a new way, where it loads everything async and have carefully enqueued scripts so it loads as quick as possble. Almost every theme loads JS, CSS and much other code in an old and outdated way – We have tested this theme on many different servers and testing it with the tool Pingdom pagespeed test which compares it to the rest of the internet. On slow servers the theme had an average load of 0.6 seconds, making it faster than 94% of all other websites. On decent to fast servers it went all the way down to 350 milliseconds seconds, making it faster than 97% of all other websites. 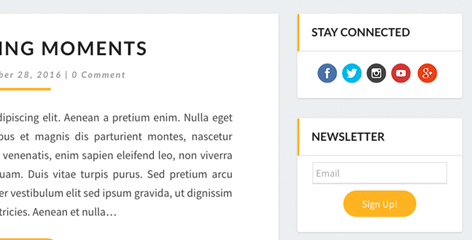 Lighthouse is fully customizeable, it has more than 70 settings and 4 widget areas: Above content, Underneath content, sidebar & footer widgets. You can use them as adspace, to create call to action sections and much more. The theme works with almost every single plugin and supports following post types: Video, Image, Aside, Status, Audio, Quote, Link and Gallery. 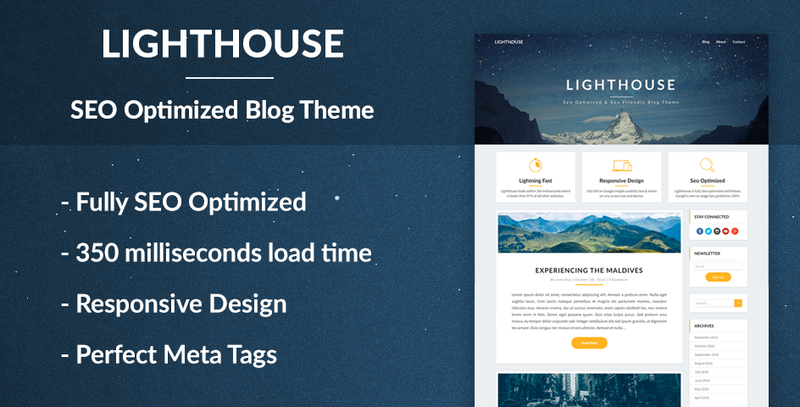 Lighthouse follows the latest Seo standards and guidelines, the theme has every meta tag you can imagine. Lighthouse follows Google’s own on-page Seo guidelines 100%, making it literally have perfect on-page Seo. Lighthouse has a 350 milliseconds load time, which will make your website faster than 97% of all other websites. We have collected all Seo and page speed plugins for you in Lighthouse, so all you have to do is click install. Scoring 100/100 on Google Insight usability test, Lighthouse is fully responsive and works on any screen size and device. Lighthouse has over 70 settings, these are the core ones.